In 1939 and 1940, the Nazi blitzkrieg crushed Poland and the Low Countries and France. This was a new type of warfare, with air and ground forces sweeping away all resistance. In the air its symbol was the all-conquering Luftwaffe. When Hitler looked further east in 1941, the Luftwaffe spearheaded the largest invasion in world history, destroying thousands of Red Air Force planes. Yet less than four years later that same Red Air Force flew unopposed over Hitler’s burning Reich Chancellery. 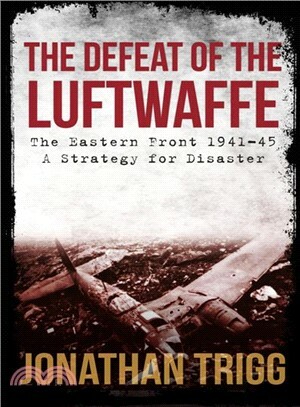 Using original research, this book explains how the Nazi Luftwaffe’s victory in the east was transformed into ashes through incompetence, misjudgement, and hubris. Jonathan Trigg served as an infantry officer in the Royal Anglian Regiment. He now has his own business training the long-term unemployed to get them into work. His previous books include Hitler's Vikings.